The month of July has proved itself to be quite positive for the auto industry as previously we have seen that the overall US sale increased 5% and now Toyota has also declared that they are quite hopeful for their profit in the US markets. 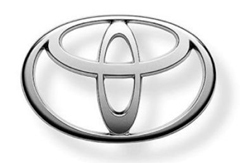 Up till now the US auto market has not seen quite an exciting rise in the sales of Toyota’s models but with the rise of sale in the Asian region, the company is expecting that the Sale in other regions will also get hyped up. It has been reported by AutoMotive news that the company may post net income of 340 billion yen ($3.98) in the year that is to end up in March and this estimate is quite higher than the earlier estimate of 310 billion yen. So we can say that good news have started coming from all the auto makers, previously the auto industry of world has seen many bad times but now you can expect the positive news from all sides. As now the resation gos out every market shows rais so the Toyota is too. It good news for the auto market raise in sale points towords the settlement of market back after the long resation.